Madrid is famed for its arts and culture. Its Golden Triangle of Art, including the Prado Museum, the Reina Sofia Museum, and the Thyssen-Bornemisza Museum, showcases top-notch collections that include the likes of Velazquez’s Las Meninas, Goya’s El tres de mayo de 1808 en Madrid, and Picasso’s Guernica. I love all three of these museums (particularly the Reina Sofia and the Thyssen, since I’m a modern art kinda girl), but my favorite art museum in Madrid – and debatably one of my favorite in the world – isn’t part of the Golden Triangle. Instead, it’s tucked away in the neighborhood of Chamberí and not as well-known to tourists: the Sorolla Museum. 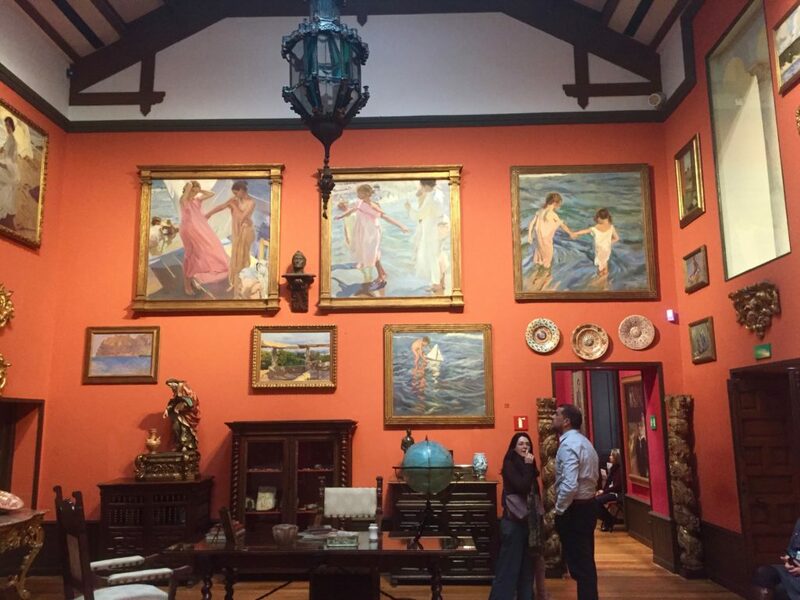 This quaint museum, dedicated to the Valencian painter Joaquín Sorolla and located in his former home, is quite possibly Madrid’s most underrated little treasure. As a fan of all things Impressionism, I love Sorolla’s style. Like Monet and Renoir, Sorolla is skilled at capturing the way light dances through nature. He is particularly well-known for his Impressionist beach scenes, which often depict his hometown of Valencia. 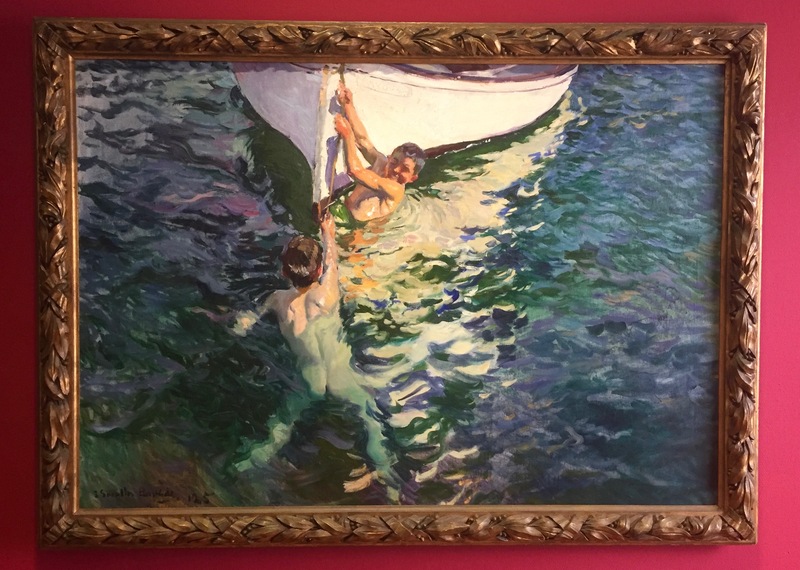 A prominent motif in Sorolla’s work is that of bodies underwater, such as people swimming in the ocean or wading at the beach. This is not an easy thing to paint, but Sorolla does so masterfully. 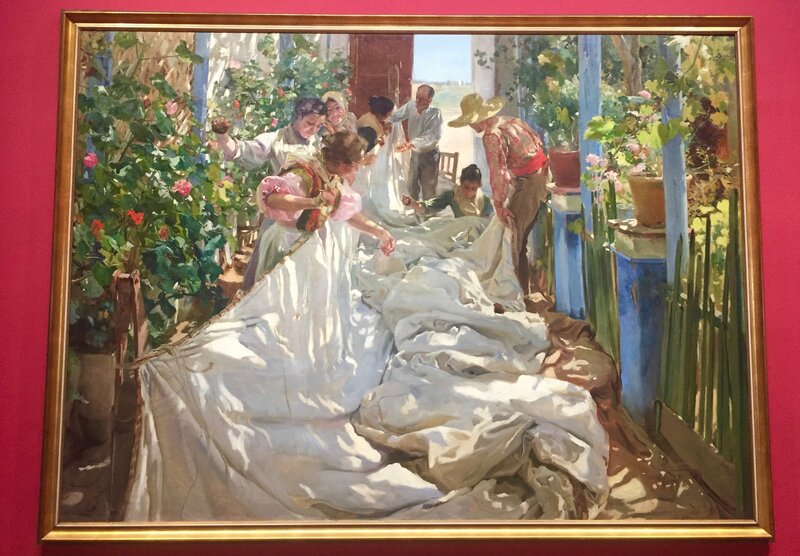 Sorolla’s work is particularly special for me because my mother had some of his prints in the house when I was young, but I gained a newfound appreciation for these paintings upon seeing them in the museum. The seaside scenes also remind me of the days I spent at the beach growing up in my hometown of Key Biscayne, Florida. Since the museum is in Sorolla’s former home, it is relatively small. As a result, you can easily cover all of the museum without feeling rushed or overwhelmed. 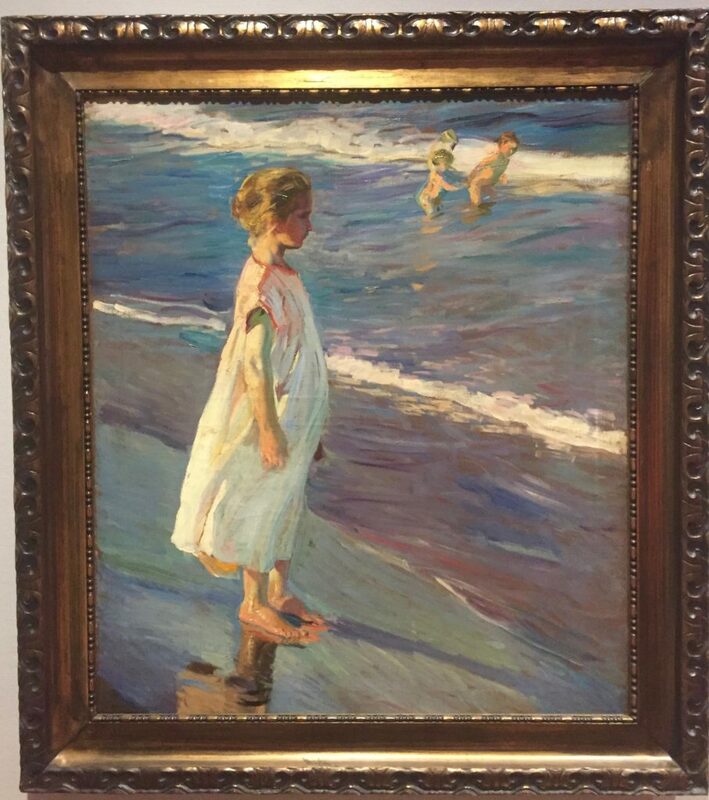 The content of the museum is obviously focused on Sorolla, allowing you to appreciate the details and progression of his work. 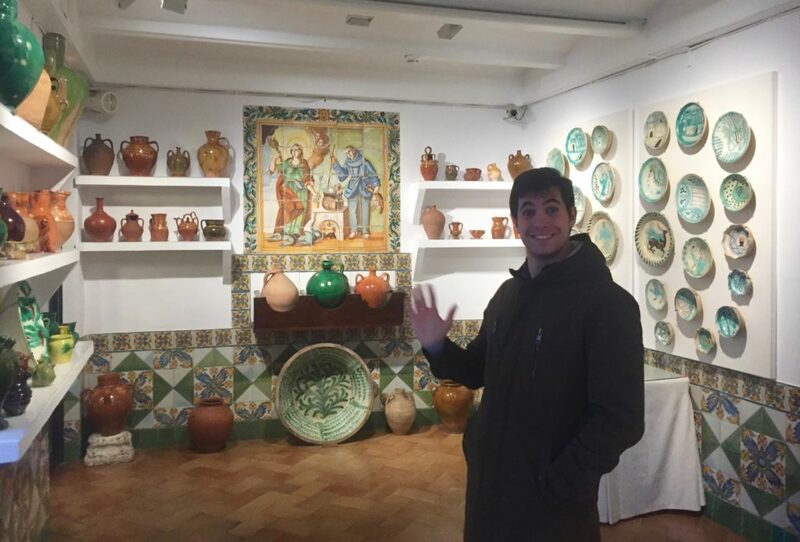 The house and studio have been preserved to reflect their appearance when Sorolla lived there, thus enhancing the experience and allowing visitors to contextualize the artwork. And for an entrance fee of just three euros, this place is a bargain! 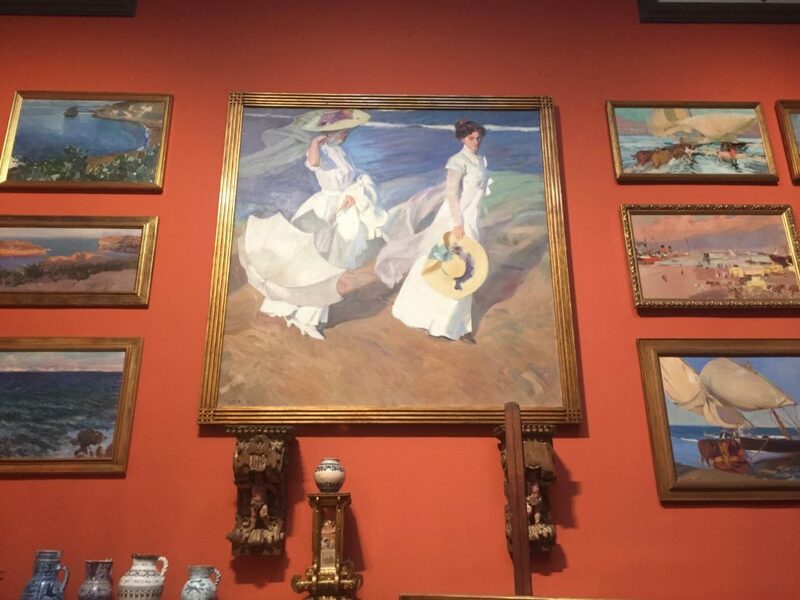 Have you ever been to the Sorolla Museum? Comment below with your thoughts!